Another bitterly cold morning but things are supposed to get a bit better. This image was taken on a nice warm day in July. 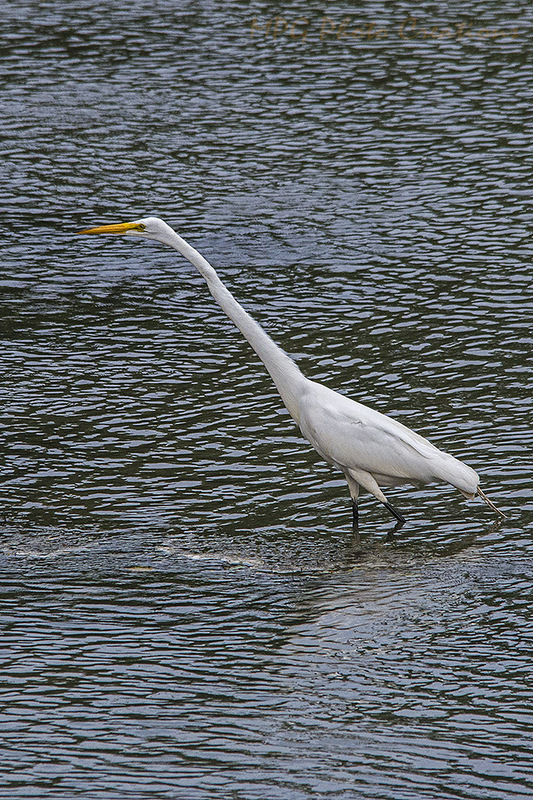 This is another image of the Egret that I was able to get fairly close to in Michigan. 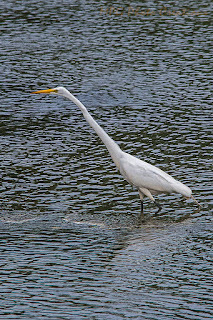 It was just walking along and looking for fish. At one point some fireworks in the distance, it was 4th of July, spooked it and it took off but didn't go far down the river. It was nice to see one close and not so spooked as ones here in Kansas can be if you get anywhere near them.